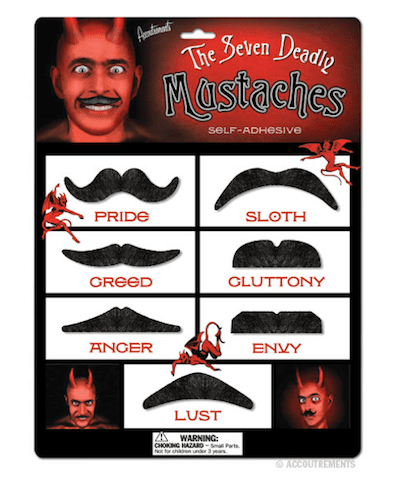 When growing facial hair you must be ever mindful of the Seven Deadly Mustaches. These mischievous mustache styles have the potential to lead you down various paths of sin and debauchery. Whether you think that's a good or a bad thing is up to you. Each 'stache is made of lifelike synthetic hair with adhesive backing and fits most upper lips. Seven different styles in each package.